We’re seeking better treatments for conditions that affect the brain and spine. 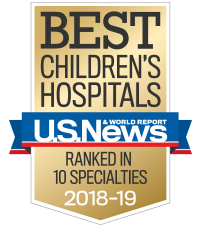 Children’s Center for Neurosciences Research is a collaborative effort with Emory University, Georgia Institute of Technology and the Morehouse School of Medicine. Our team is dedicated to finding innovative therapies for children with brain and spine conditions. Researchers are seeking preventive, diagnostic and wellness strategies for children with serious medical illnesses or challenges. Our studies focus on everything from brain tumors and traumatic injuries to the psychological and cognitive aspects of disease and injury, and much more. Barun Brahma, M.D., Tobey MacDonald, M.D., and researchers from Georgia Tech and Emory University published ground-breaking brain tumor research in the journal Nature Materials. This new treatment approach uses nanotechnology to direct tumor cells outside of the brain where they can be isolated and killed. In 2010, the Georgia Institute of Technology received the EUREKA grant (Exceptional, Unconventional Research Enabling Knowledge Acceleration) from the National Institutes of Health for research by Drs. Brahma and MacDonald, and Ravi Bellamkonda, Ph.D. (Georgia Tech). The grant will allow researchers to design a treatment for brain tumors that would direct tumor cells through a scaffold to a sink, located on the brain’s surface, which would contain medicine to kill the cells. Stem cells: Along with colleagues at the Emory Department of Neurosurgery, Tracy-Ann Read, Ph.D., is studying medulloblastoma, a type of brain tumor that occurs in infants and young children, and cancer stem cells in the central nervous system. Brain tumor staining: Drs. Brahma and Bellamkonda are conducting a donor-funded research study to use nanotechnology to help surgeons distinguish brain tumors from healthy brain tissue. Drug therapy: Dr. MacDonald is leading a study to develop a drug therapy, as an alternative to radiation therapy, to stop the spread of medulloblastoma. Our researchers are working with colleagues at Emory University and Georgia Institute of Technology to investigate coagulopathy in children with severe traumatic injury, focusing on the role of platelet dysfunction. Coagulopathy is a condition that affects the blood’s ability to clot properly, which can cause prolonged or excessive bleeding. Platelets are small cell fragments in the bloodstream that aid in the clotting process. The study—Investigation of Coagulopathy After Severe Traumatic Brain Injury in Children with Emphasis on the Role of Platelet Dysfunction—is being conducted by Andrew Reisner, M.D., Jeanne Hendrickson, Joshua Chern, M.D., Ph.D., Silvia Bunting, M.D., and others. Spinal cord injury involves a primary and secondary injury process. The primary cause is the initial impact, compression and resulting damage to nerve cells, blood vessels, bone and other structures. The secondary injury process involves swelling and hemorrhage, which leads to decreased blood flow and causes even greater damage to cells. Our researchers are working with colleagues at the Georgia Institute of Technology to reduce secondary injury due to spinal cord injury. A halo brace keeps a child's head and neck in place after a spinal injury so the vertebrae can heal. Halos are an important part of the immobilization process, but they’re difficult for children. David Wrubel, M.D., and Barun Brahma, M.D., performed the first study to focus on the use of inside-outside occipital screws in children (including patients under 4) to avoid the use of halo brace. Our neurosurgeons found the screws to be a useful part of occipitocervical instrumentation in patients between the ages of 2 and 15. This instrumentation has a higher pullout strength with a greater degree of immobilization, which limits the need for halo orthosis. Neuropsychology research aims to understand how the structure and function of the brain relate to specific psychological processes. Our neuropsychology researchers conduct studies to discover new ways of assessing and treating children with brain injury or disease. Cognitive remediation: Cognitive remediation therapy (CRT) is a treatment that’s used to improve cognitive skills such as attention, memory, information processing, problem solving, organization and planning. Our researchers are examining the effectiveness of CRT by testing children before and after receiving CRT and evaluating the effects of parental engagement. Heart disease: Research shows a relationship between congenital (present at birth) heart disease (CHD) and neurodevelopmental problems. Researchers are analyzing neurodevelopmental follow up in children born with heart disease to look for signs of brain injury before and after open heart surgery. They’re also collecting neuropsychological test results from children with cardiac transplants and CHD to explore school-age and adolescent outcomes. Rehabilitation: During inpatient rehab, researchers are monitoring recovery and identifying predictors of outcomes for children with moderate to severe traumatic brain injuries. In addition, researchers are collecting data on children with anti-NMDA receptor encephalitis (swelling in the brain caused by an immune reaction). They’re using the data to identify outcome predictors and investigate recovery progress during the initial years after diagnosis. Premature birth: Researchers are assessing infants in the neonatal intensive care unit (NICU) who have been diagnosed with a neurological condition, such as cerebral palsy or stroke. They will be following these children during early childhood to assess the children’s development and help identify at-risk infants.